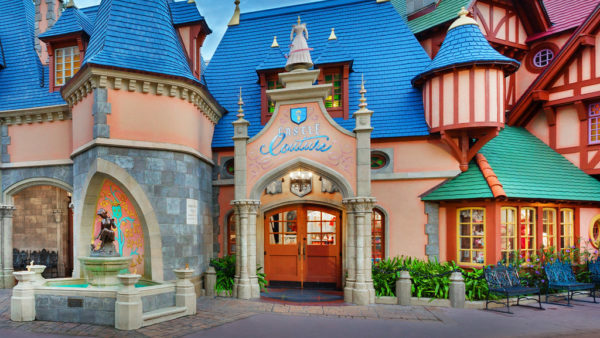 There may be a new breakfast option coming soon to Disney’s Hollywood Studios. Beginning this weekend Fairfax Fare will be doing a two week test of a breakfast menu. This quick service restaurant is on Sunset Blvd, just a quick walk from the infamous Hollywood Tower Hotel (home of the Tower of Terror attraction) and Beauty and the Beast Live on Stage. Beginning on April 22nd and continuing through May 5th, this test period will have Fairfax Fare opening for breakfast with a menu that consists of both hot and cold options. There will also be assorted beverages choices available. Beginning at 11:30 daily the standard Fairfax Fair lunch menu will be served. Some of our favorites on that menu are the Fajita Combo Platter with pulled pork, grilled chicken and flour tortillas served with black beans, cilantro rice, peppers, onions, sour cream and fire-roasted corn medley, the Fairfax Salad with pulled pork, wedge salad, bacon, fire-roasted corn medley, crispy tortilla strips and sheddar served with a jalapeño ranch dressing and the 7-Layer Rice Bowls with cilantro rice, black beans, fire-roasted corn medley, pico de gallo and sour cream topped with cheddar served with warm tortillas and topped with either vegan chili, pulled pork or grilled chicken! Are you excited for this new breakfast option at Disney’s Hollywood Studios? If you check it out during the test period make sure you let us know what you think! And as always, this testing period and menu is subject to change without notice and is based on availability!